Bassano del Grappa Italy, should also be taken into account for a half-day visit during a holiday in Veneto discovering cities of art. The town lies in the province of Vicenza between plain and mountains, on the shores of river Brenta, at the foot of Mount Grappa and the Asiago plateau. It is kind of an austere yet sweet town: perhaps it does not have the mediterraneish feel like the lake Garda small towns; maybe in Bassano del Grappa you dont’ have the feeling of being to the gates of the South like when you are in Verona, but it certainly deserves a getaway if you are on your way. Bassano del Grappa Italy – about 40, 000 inhabitants - is certainly a town on a human scale. 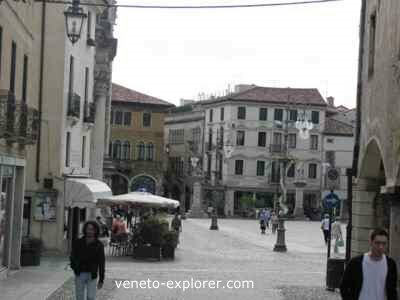 Its pedestrian beautiful squares are lined with alluring cafes, antique and ceramic stores, and wine bars where to taste the traditional distillate of the city: the renowned and fine grappa, one of the symbols of the region Veneto. Grappa is a high alcohol content distillate – technically a marc brandy - made in the town's distilleries since 1779, when the Nardini factory was founded (still one of the most renowned brands in this day and age, along with Poli). This Veneto’s old town hosts the pictoresque Ponte Vecchio – Old Bridge – that it is probably one of the most famous bridges of Italy, I may say an out and out piece of Italian history. The story of this covered wooden bridge is quite turbulent. Its nickname, Ponte degli Alpini – Alpine troops bridge - comes from the fact that during the First World War the Italian troops lead by the infamous general Luigi Cadorna went across the bridge heading for the Asiago Plateau, one of the crucial places where that war took place. 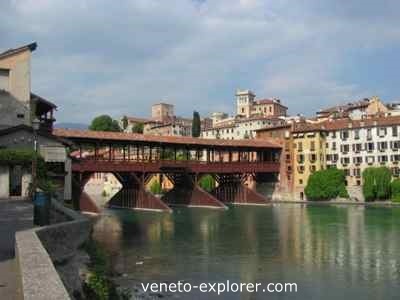 The existence of the bridge has been recorded since 1100, when it connected Bassano del Grappa with the village of Angarano (today part of Bassano) on the opposite side of the river Brenta. It was rebuilt several times - in 1450, in 1511 , in 1520, in 1526 and 1567- after having been destroyed by wars or floods. In 1569 Andrea Palladio was commissioned to design the bridge. Today’s wooden bridge has been rebuilt after the design of the celebre architect even after the further destructions it underwent over the following centuries. At its base it’s characterized by large breakwater wooden pylons featuring a trapezoid shape. The latest destruction caused by wars dates back to the Second World War: in 1945 the wooden bridge was burnt to the ground by the Italian partisans, and then rebuilt in 1948 exactly the same as Palladio had designed it. Later it was damaged by the strong flood of 1966, the same that hit hardly Florence. At one of the ends of the bridge lies a characteristic wine bar and the Museo degli Alpini displaying with war relics, whose entrance is through a typical tavern. The historic part of Bassano del Grappa is relatively small and you can visit it all by foot. Piazza della Libertà - Liberty square- is overlooked by the Palazzo Municipale, which embellished by a 1400s loggia with a big clock. At the southern side of the square stands the facade of the Church of San Giovanni Battista, a former convent. Beside the loggia starts the pictoresque via Matteotti, lined with 1400s houses and the 1300s Palazzo Pretorio, seat of the city council in the Middle Ages. The second square is Piazza Garibaldi, located at the place of the pre-existing medieval walls. About the walls, what is left nowadays is the big tower, Torre Civica, dating back to the 1300s. In the square lies also a beautiful 1200 church – Chiesa di San Francesco- with a noteworthy cloister. 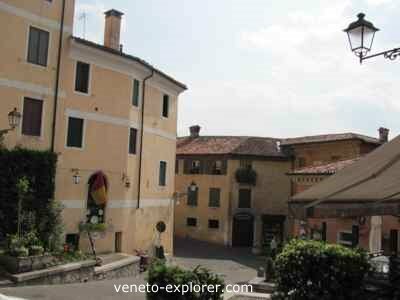 The third main square is Piazza Monte Vecchio, the heart of the 1200s town, lined with medieval buildings, some of them painted in their exterior. Interesting is the large Monte di Pietà building, built in 1454. Other things to see are the 12th century Castello Superiore – Upper Castle – where you can walk enjoying a panoramic view towards mountains and plain, and the Cathedral. Finally, if you are longing for rest tucked in centuries-old trees, take a 10 minutes walk towards the lush Parolini Garden, a small botanic park with shady plants, established in 1805 by the naturalist Alberto Parolini. Museo Civico: it lies in the cloister of the San Francesco Church (in the Piazza Garibaldi). It is one of the most ancient museums of Veneto, hosting over 500 paintings from 1200s to the Present, and a collection of 8,522 extremely rare ancient prints owned the the Remondini family, a flourishing dynasty of printmakers operating in Bassano del Grappa since the 17th century. 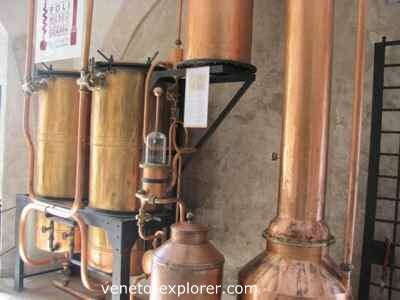 Museo della Grappa Poli: it shows the techniques of distillation and displays old alembics and machinery. There is also the possibility of tasting the grappa. 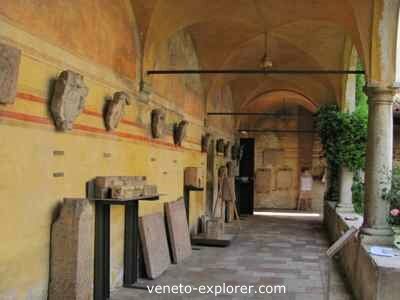 The museum is located in the 1400s Palazzo Beltrame-Menarola, close to the bridge. Museo della Ceramica: hosted in the Palazzo Sturm, it is dedicated to the main traditional handicraft production of Bassano del Grappa. 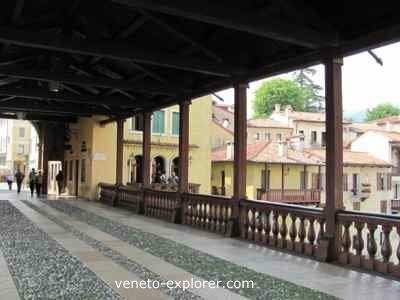 More here about many other medieval towns and villages of Veneto that you may want to visit.